I adore faculty work days. The entire building is empty of rambunctious kids and I can actually get a ton of work done in the quiet. 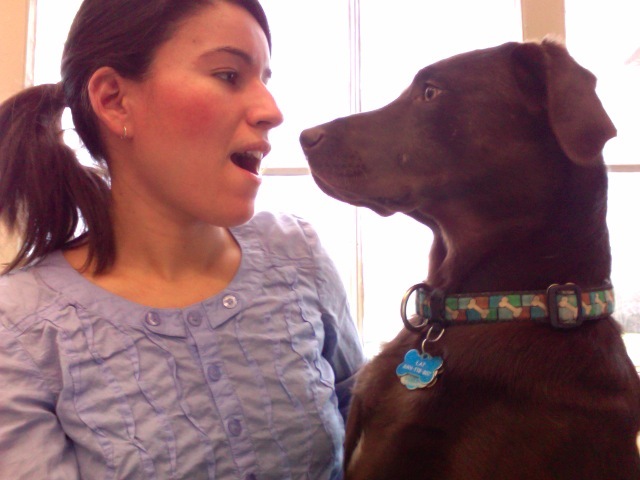 That is, unless I’m babysitting my boss’ dog, Taj, who might be the greatest big lap dog ever. She makes it known when she wants a little lovin’, and lovin’ she gives, climbing right up into the desk chair begging for hugs, scratches and the like. 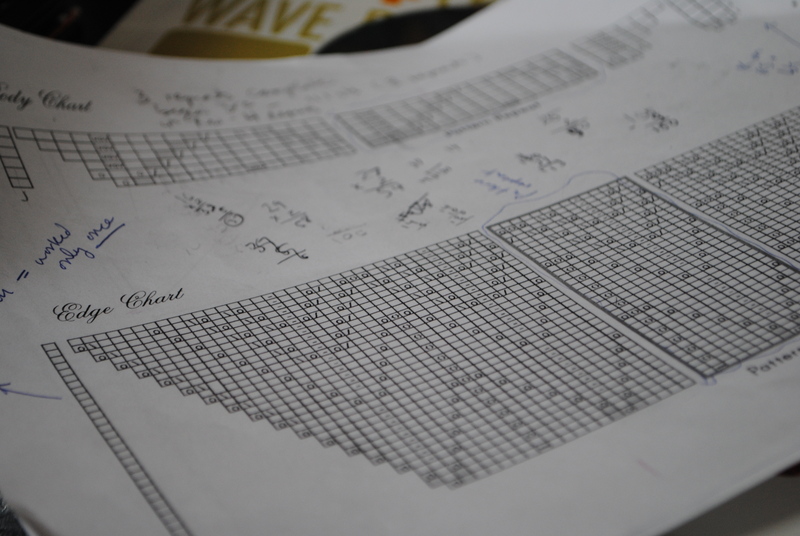 Alas, as the day wound down and Taj scurried home and I finished working with a lone student who came in for extra tech help, I popped on some tunes and hunkered down with a knitting chart I’ve been working on lately for the Springtime Bandit. I fiddled with it a bit since I made some mods and brainstormed ways to teach some of my knitters how to rely on reading charts rather than written instructions in knitting. Charts are so much better. Thanks to the inspiration I mentioned earlier, last night I began creating my own Sandra Juto sytle scarf–only I think I’m going to make mine longer, rather than a circular scarf or “neck worm”, as Sandra calls them herself. Or should I make it more like these? I love love love the way its turning out. I intend to use endless scraps from my stash to use up odds and ends, so the stripes are entirely random and I’m loving the way they work so far (despite ripping out a few rows of red and orange that looked a little out of place). Because these are a simple garter stitch the whole way, its moving along so quickly; I expect everyone I know will want one of their own. Do you like? Think I should make more? There’s a new listing in the shop! The Ruffle Romp is a crochet ruffly cowl I created about 2 years ago and I just unearthed it from a box of samples and decided to list it in the shop. Quite frankly, I forget I even came up with it in the first place. It’s really adorable on and it can be made in a whole host of colors. The sample is in a heathered gray, which looks amazing up against really bright colors. Listed for just $45 bones, this baby could be yours in no time! Spread the word! Oh, and more snaps of the Ruffle Romp at its long ago created Flickr set. 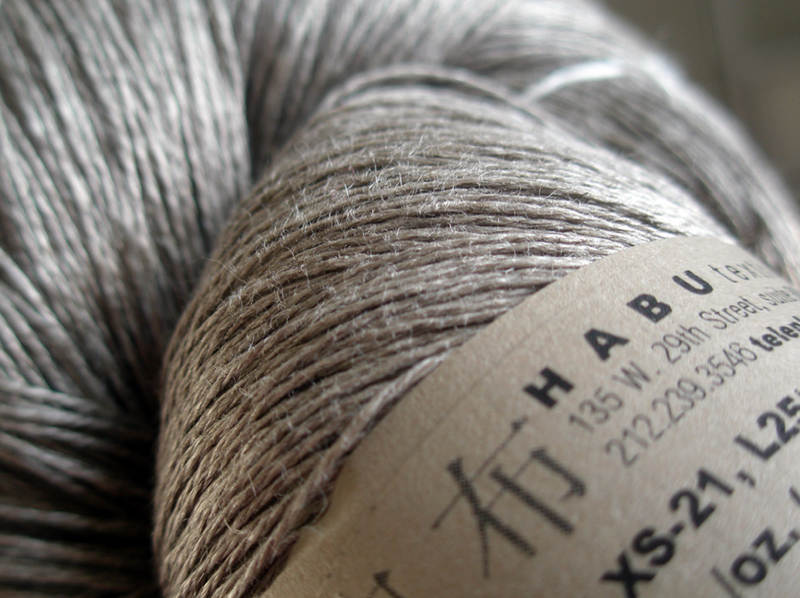 How badly do I want to go promptly and buy a whole carton of Habu Textiles Yarn? That badly. I’d love to create a Japanese style felted scarf with some of their Stainless Steel (gush!) 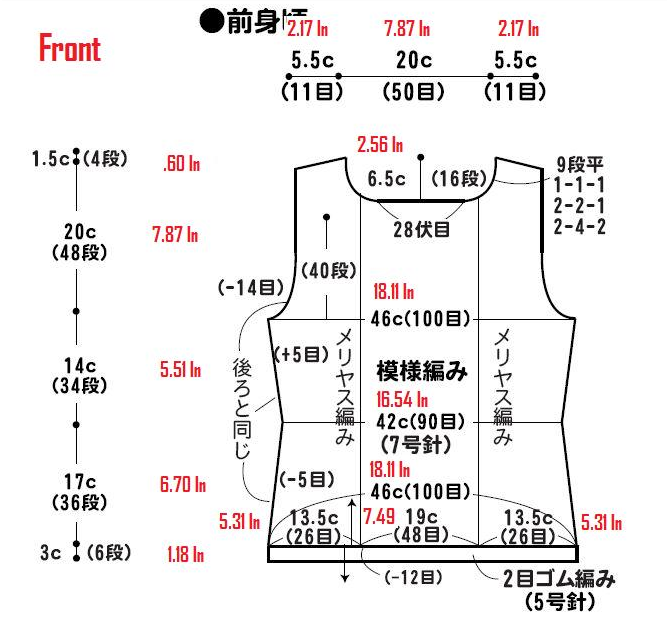 in some kind of gray or white colorway because I’d love to be able to say I’ve attempted (how well is as yet to be known) to follow a Japanese style knitting pattern, which is distinctly different from standard American or European directions. And god love the internets; if you don’t know what the heck a Habu Scarf is, you can watch this video which explains it all in detail. Gorgeous. 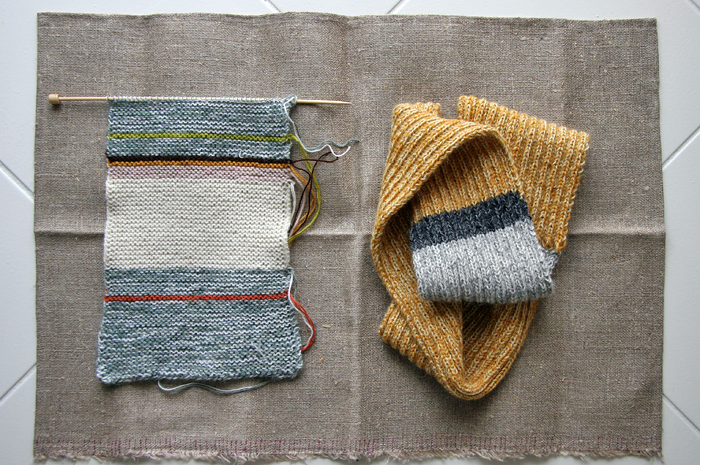 But what I’d really like to create is the Kusha Kusha scarf I’ve been gushing over at Purl Bee for awhile now. 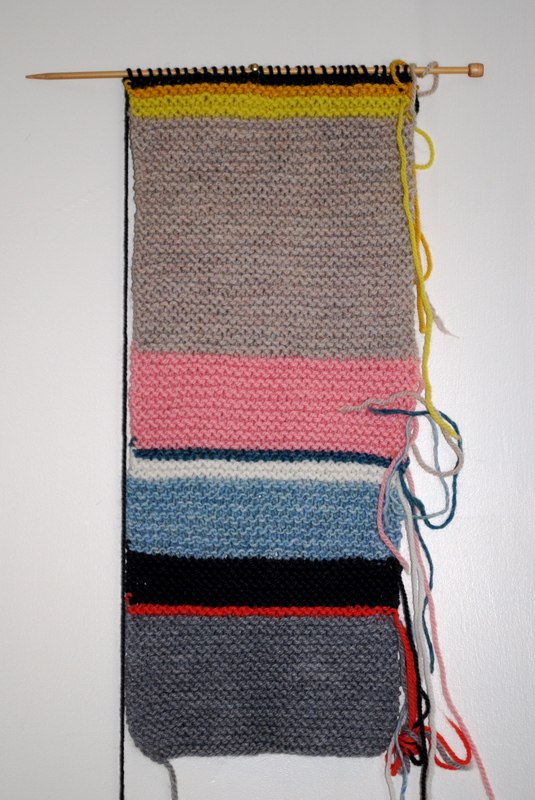 What’s more, the ever amazing ColoursKnits has created a Kusha Kusha scarf and its so inspiring! And I adore the white. Thanks to Habu Textiles, there is a freely available Japanese Pattern at Purl Bee to create this scarf. What’s more, if I mess up, there’s an American pattern cheat sheet below. Here’s to hoping I don’t need to cheat, and to hoping I finally go scoop up some Habu Textiles Yarn promptly. Drools. 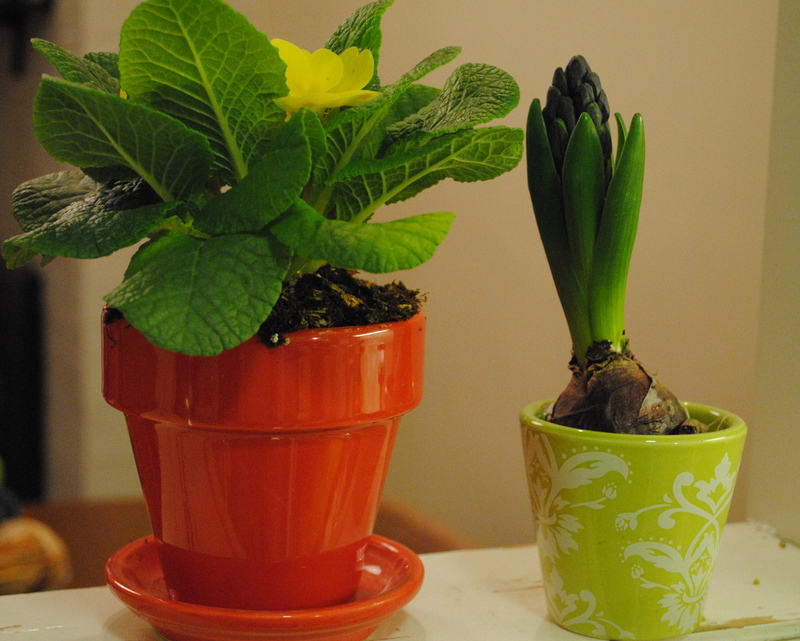 I’m trying desperately to usher in Spring and liven up my life and knock off this February rain, which means potting some house plants in bright ceramic pots in the hopes the weather will respond in a similarly bright fashion. My African Violets haven’t bloomed in awhile, which leaves me a bit worried and perhaps too diligently hovering and feeding. What types of house plants do you recommend when all day direct sunlight is most often hard to come by? I am addicted. And its a cheap addiction. Lately, I’ve been washing my scalp with the amazing Trader Joe’s Refresh Citrus Shampoo, and at just about $3 a bottle, its magic I say! Magic. There’s nothing I’ve wanted more than for my hair to smell of oranges. Natch, I’ve achieved my goal and can now put my feet up, sling my hair around, and do nothing but gloat. Oh, and mind you, if you plan on scooping up some of this delight, might you also grab their Tea Tree Body Wash. I usually use the Burt’s Bees Citrus and Ginger Root Wash coupled with plain bar soap, but have become smitten with the tingliness of the Tea Tree Wash. What’s more, all these products are “Cruelty Free”, ie not tested on animals, which is a huge plus. 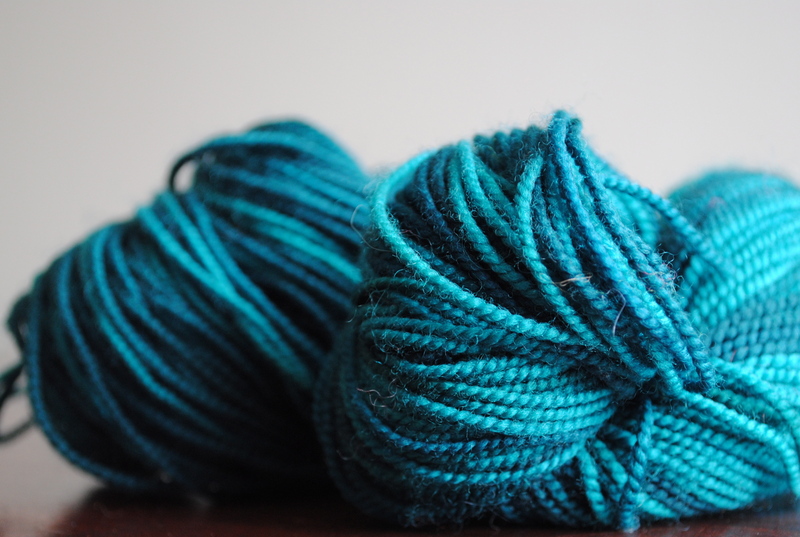 I don’t think there’s a standard worsted weight yarn I adore more than Malabrigo Merino. The slight color changes in the solids are incredible, adding an element of detail so subtle yet striking I can’t imagine knitting with anything else when the pattern calls. 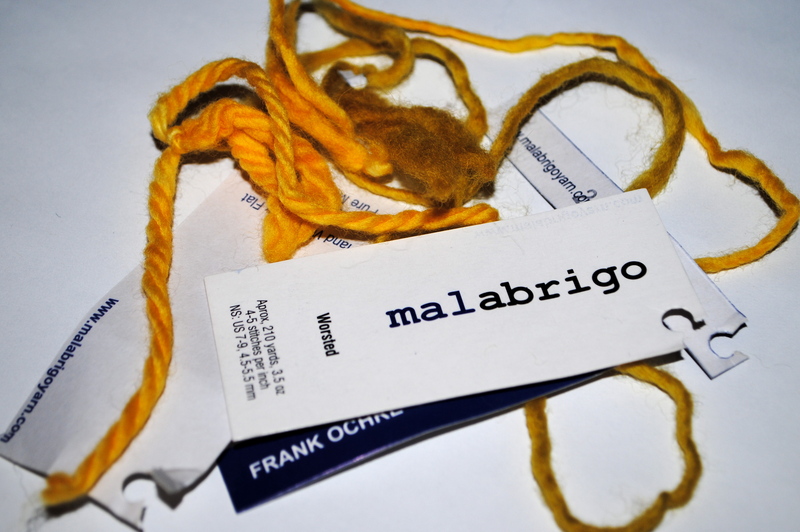 Snips of Malabrigo dot my desk at home; Frank Ochre and Sauterne are two of my favorites, though some of the blues and oranges are to die for, too. These snips are remnants of yarn balling for the Yellow on Yellow by Anne Weaver. Its gorgeous and I’m nearly three quarters done (the project is part of my Rav-Olympics). I’ve ravelled the project here if you want to check in on my progress. Have you started the Rav-Olympics? We’re halfway through, already! 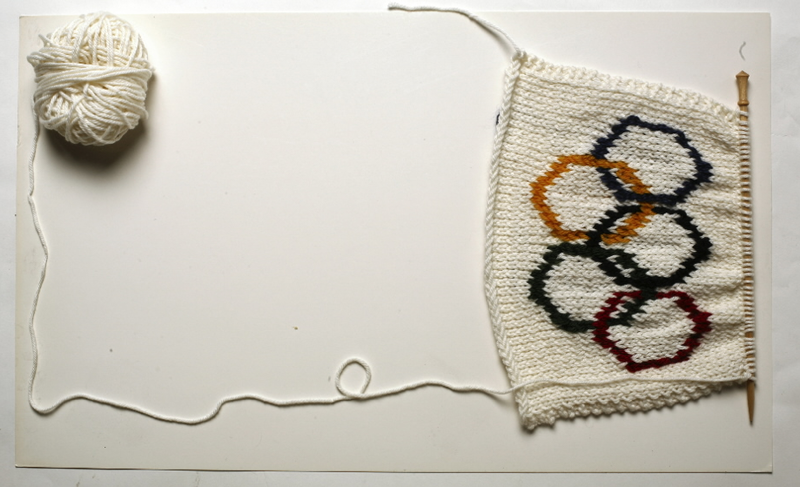 If you are unfamiliar with the Rav-Olympics, essentially its a knit-a-thon during the 2 weeks the Olympic athletes descend on the host country to battle against the world’s best. The goal: to knit up something super ambitious during that two weeks (and finish it!) or complete as many WIPs as you currently have on the needles…all while watching the Olympics of course (I DVR my Olympic coverage while in work and then have a marathon in evenings). My Rav-Olympics project is the Spring Bandit by Kate Gagnon Osborn, a beautiful triangular lace scarf for my Mum for her birthday this week. I’m nearly 70 percent done and totally impressed with my speed despite the lace–and all the hiccups that come with lace (why am I 3 stitches short!?). I had to rip back entirely once (a mistake on row 2) when halfway through, as well as about 4 rows in the 4th repeat of the body lace, but now I’m back on track. You can track my project progress, which is Ravelled here. I hope to finish by the end of the week and get to blocking it–I know it will need a lot of stretching since I’m making the scarf with just 2 skeins of ShiBui Sock in the Peacock colorway. Man, I adore this yarn. I’m really curious to try some tea dyeing. I’ve never done it before and have dreams of gorgeous tea dyed cotton circular scarves and the like. Perhaps I can convince my friend Mackenzie, who will be featured in a regular column here in this space, to give it a whirl with me some Sunday when we are both free. 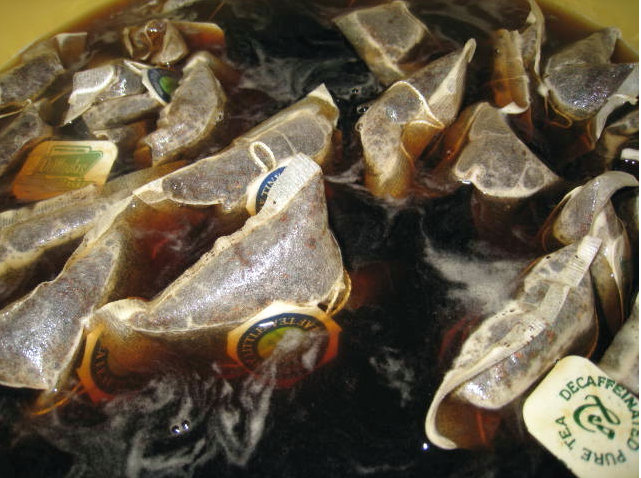 Have you tea dyed? Is it as exciting sounding as I think? I know its beautifully looking and distressed. I love beautifully distressed things. If you read this blog on the reg, you know I like a good beer. An oft frequenter of my local pub, Publick House Provisions in Washington Square, I like to scribble down beers I’ve tasted and feature them in my “Publick Notes” so I can keep track of it all. It’s so easy to forget what you drank, if you liked it, even why you liked it. Plus, I think the beers you drink at any given time are definitely cyclic and can say a lot about your station at the time. Enter Kriek style beers–a naturally fermented with fruits (like cherries) style of beer, usually Flemish, that I discovered when I tasted my first sour after some heavy theatre some years back. I’ve pretty much worked my way through every kriek-style Publick House has; I’d say the best I’ve ever drank is the Cuvee des Jacobins Rouge. I have no words for how sour, yet smooth, that beer is. And it’s not sweet. It’s plenty sour, which I prefer, and tastes great with fish n’ chips. But recently I gave the Monk’s Cafe Flemmish Sour Red, and while certainly no Cuvee, it’s a tasty treat for the Flemmish Sour/Red lover. 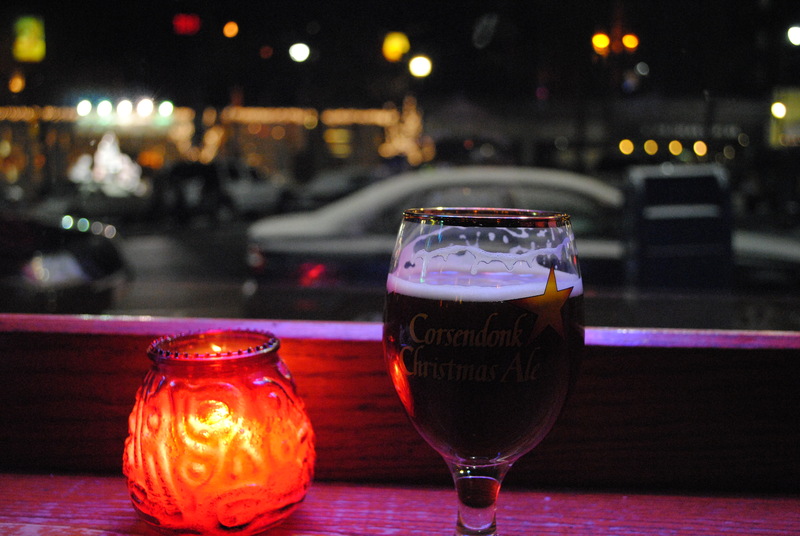 So give it a whirl; its almost never a bottle on vacation at Publick House. For anything else I’ve written about good drink, clicky clicky. The ever-amazing Sandra Juto, whose blog I follow religiously, is producing these adorable little scarflets she’s calling Neck Worms. 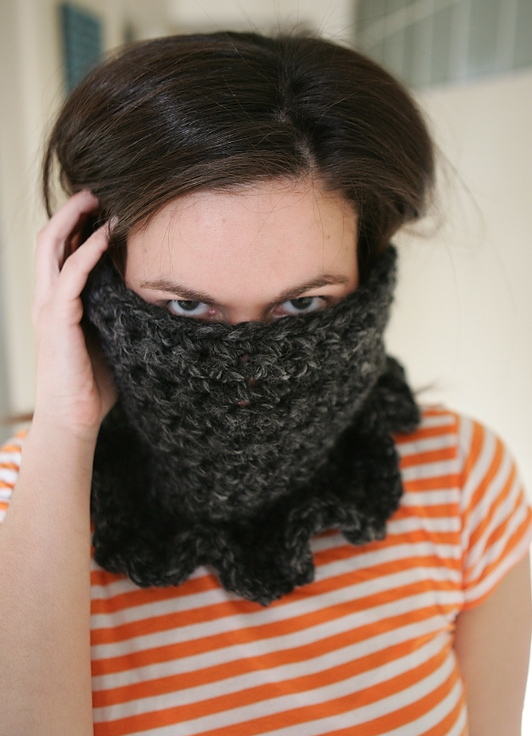 And they have inspired me to make my own scrap garter stitch scarf. I have loads of half skeins, etc., laying around, and it would be perfect for them–not that I really need any more projects to start (…can’t resist…can’t…). But, instead of making mine a scarflet of sorts, I intend to make an extra long so I can really wrap up inside of it and do some serious stash busting. Apparently Sandra will be adding her wonders to her shop shortly, so you should buy one. And read her blog, too, for sure. Might I suggest spending your holiday doing a little cooking and baking? It’s President’s Day, which means a day off from work, and a pretty descent wind is whipping (as well as some rumblings of snow coming), so there’s no excuse not to hunker down in the kitchen, create something tasty, and pick up a book while the oven works its baking magic. A good idea? Little individual ramikins of cobbler; they are perfect because if you don’t want to finish them, you can easily package them away in the freezer to be pulled out when a seriously sweet fix is needed but no desire to bake. 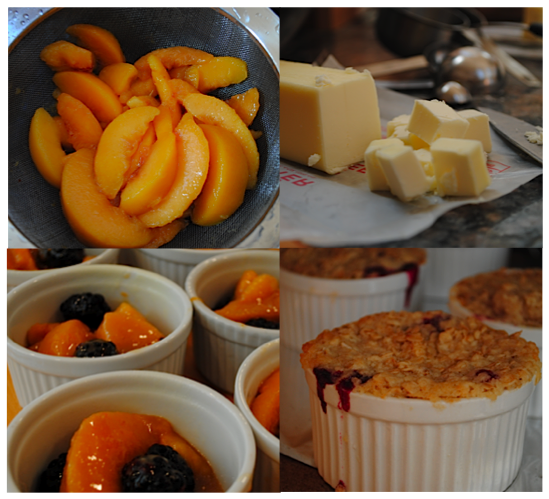 Plus, it’s fun to serve people their own little baking dish of cobbler gold. I made individual ramikins filled with a peach blackberry cobbler. I was going to use a tin of raspberries I had on hand, but they were all fuzzy despite buying them just the day before (rip off!). Realizing I had a tin of blackberries on hand, too, I figured they’d be an acceptable, and tasty, substitute. Using Ina Garten’s simple Peach Raspberry Crisp recipe, I simply used blackberries where she called for raspberries. And let me tell you. Her recipe is so simple to follow, so tasty to eat, and the crumb topping looks really beautiful when it comes out of the oven, especially if the berries exploded a little underneath and leaked down the sides. If you feed this to your friends, you’ll be a hero for just one day–as the Magnetic Fields so brilliantly declare. They’re a great band to cook to, so flip it on when you try this cobbler.